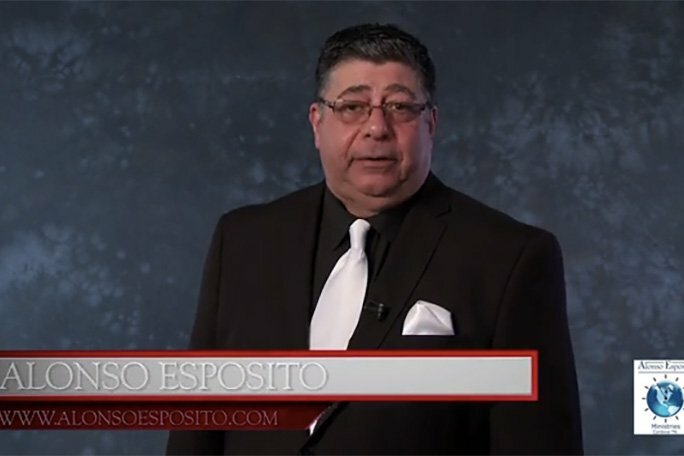 Alonso Esposito, who called himself “A diehard gangster” when he went by the name of Robert “Boston Bob” Luisi, is now a Christian minister based in Tennessee. In the late 1990s, he was the Philadelphia mob’s point man in Beantown, generating tens of thousands of dollars through bookmaking, loansharking, extortion and drug dealing. Today the former Robert Luisi goes by the name Alonso Esposito. And he’s traded in his membership in Cosa Nostra for an affiliation with an organization that has an even more storied history. Boston Bob is now Pastor Al, a Christian minister based in Tennessee with a television show, speaking engagements and Bible-study classes. And while he acknowledges that his former Philadelphia partners-in-crime – guys like Joey Merlino, George Borgesi and “Uncle Joe” Ligambi – want nothing to do with him, he’s sending good wishes and prayers. With Merlino, 54, expected to enter a not guilty plea Tuesday in New York to the latest racketeering charges he faces, Luisi, 55, took some time to reflect on their past, on where they’ve been and on where they may be heading. Both he and Merlino did serious jail time, spending all of the last decade in federal prisons. When they got out, if the current racketeering indictment proves true, Merlino went in one direction and Luisi in another. But he says he’s found his way out. And wishes his onetime Philadelphia friend would find his. Luisi, whose father, half-brother and cousin were killed in an infamous mob hit in a Boston-area restaurant back in 1995, grew up around gangsters and was fascinated with their world. The money, the power, the status and the women were all part of a lifestyle that he embraced. What did Joey Merlino do to earn himself a likely statewide casino ban? Luisi said he and Merlino used to talk about moving to Florida. Luisi said his goal was to get away from the life. But he said Joey’s idea was to set up a crew down there. That, in effect, is what the pending racketeering indictment alleges. Merlino is identified as one of three leaders of an “East Coast La Cosa Nostra Enterprise.” Forty-five other mob members and associates are charged in the case, which includes allegations of gambling, loansharking, extortion, arson, assault and insurance fraud. Merlino, who relocated to Boca Raton after his release from prison in 2011, is named in the gambling and fraud portions of the four-count indictment. He is free on $5 million bail. In fact, much of the case against Merlino is built on secretly recorded conversations made by a thus-far unidentified mob associate who was secretly working with the FBI. It’s a story Luisi can relate to. He was jammed up on drug charges after dealing with Ron Previte, a Philadelphia crime family member who was wearing a wire for the FBI in the 1990s. Previte went to Boston and set up a series of cocaine deals with Luisi and his crew. The “drug dealer” Previte introduced to the Boston mobsters was an undercover FBI agent. Audio and videotape of three cocaine deals and the exchange of $75,000 sealed the case against the Boston gangsters. But Merlino, who was charged with setting up those deals, was found not guilty. Previte testified against Merlino in the 2001 racketeering case, but Luisi, who had originally agreed to cooperate and testify, reneged and was never called to the stand. “If I had testified, Joey would have been convicted of the drug charge,” Luisi said. At that trial, Merlino and most of his associates were convicted of gambling, loansharking and dealing in stolen property. But the jury said the government had failed to prove murder and murder conspiracy charges against several of the defendants and had failed to prove the drug charge against Merlino that was part of the case. Luisi said his deal came apart because of problems he was having with a federal prosecutor in the U.S. Attorney’s Office in Boston. Instead, he went to trial. Previte was a key witness against him. Luisi was convicted and ultimately sentenced to 188 months in prison. Previte, in a phone interview on Monday, said he never disliked Luisi but thought he was too easily manipulated by Merlino and Borgesi. “I didn’t dislike him, but I thought he was foolish and being used by them,” the onetime wiseguy said. Luisi didn’t see it that way. He said he sought out the Philadelphia mob in the 1990s because of conflicts he was having with the Boston-based mob family with which he was associated. Luisi said he then used an associate who had spent time in jail with Philadelphia mob leader Ralph Natale to arrange a meeting in Philadelphia. Luisi said he first met with Natale at The Pub, a popular bar-restaurant in Pennsauken. He subsequently met with Borgesi and a crew of mob associates at a dinner in Delaware County and then met with Merlino at Gino’s Café, a South Philadelphia corner bar that the mob controlled at the time. Those meetings led to an affiliation and Luisi’s formal initiation into the Philadelphia crime family. He became a capo with his own crew in Boston. By his estimation, he was generating tens of thousands of dollars a month through gambling, loansharking and drug dealing. “When I went to jail, I had a million dollars on the street,” Luisi said of the various mob gambits in which he was involved. The feds would later allege that Luisi was sending $10,000 a month to Merlino as tribute and that, in effect, he bought his way into the organization. “With Joey it was always pride and ego and money,” Luisi said. Even as he continued to move in mob circles, he said, he began to question his life. 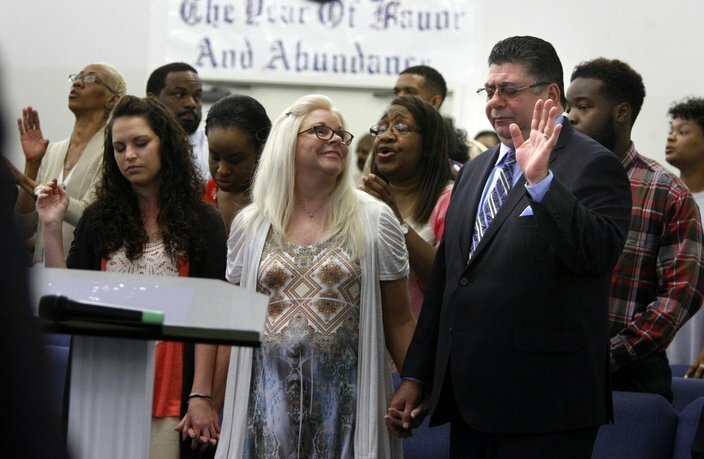 He recalled taking a trip with his family and Borgesi’s family to Florida in which he mentioned his turn toward Jesus. As Luisi recalls it, Borgesi made some cryptic remark about God having something in store for him. “I didn’t know how to take that,” he said, noting that he knew at that point that Merlino was not happy with the way he was running things in Boston. “I thought maybe I was gonna get clipped,” he said. Instead, the Previte sting landed him in jail. But today, Luisi said he sees it as all part of God’s plan. In prison he built on his awakening, reading, studying and becoming something of an expert on the Bible. He has self-published a book, “The Last Generation,” that includes his thoughts on creationism among other things. He is working on a biography tentatively titled “From Capo to Christian.” He also has a website. “Jesus has washed the blood off my hands,” he said, adding that the same can be true for his former Philadelphia mob associates. Luisi was released from prison in 2012 after working out another deal with the feds, agreeing to testify against a Boston mobster. But he insists that he is not a rat and says he is glad he never took the stand against Merlino, Borgesi and the others in that 2001 racketeering case. Relocated to Tennessee, he said he worked in construction and as a plant foreman and began a part-time ministry in the Memphis area that has since become his full-time calling. In June, he severed ties with the Justice Department and began to publicly discuss who he was and what he had done. Luisi said he is not worried about the publicity he has generated since stepping out of the shadows back in June. There have been newspaper and television accounts about him, including a lengthy piece in The Boston Globe, his old hometown newspaper. He said he prays for his old Philadelphia mob friends, especially Merlino in his time of trouble. His hope is they find a way out. Not everyone in Philadelphia, of course, is convinced. Some see the Alonso Esposito Ministry as a front or a con.